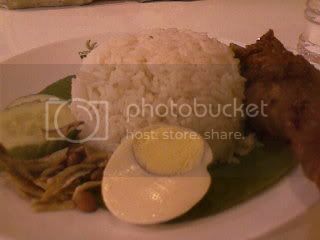 I gave Nasi Lemak Antarabangsa (Ampang Park) a bad review a few months back. 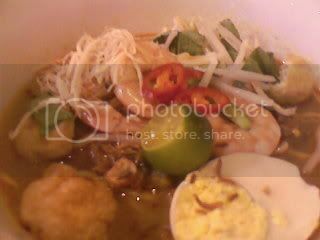 I recently went to their outlet at Jusco Setiawangsa, and I actually enjoyed my meal. No, it is not because I am hungry and that's why I enjoyed my meal because when you are hungry, everything's good right? 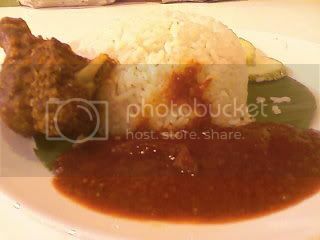 This is my second time to the outlet and as usual, I had nasi lemak with ayam goreng. I didn't enjoy the sambal at Ampang Park but the sambal at this outlet is as close as you can get to the original outlet at Kampung Baru. Well, I was told that the recipe should be the same but I wonder why the Ampang Park outlet is slightly different. Is it because of my taste bud? 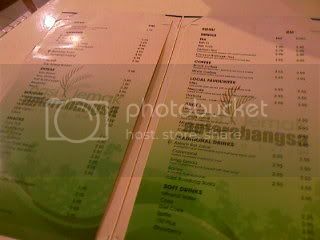 My bill comes close to RM 25 for a meal for 2 pax. Not bad, huh?